Glimmers of Hope- A collaborative effort is helping the Florida Reef Tract cope with a coral disease outbreak. Story published in Alert Diver Online . Written by Andrew Bruckner, Research coordinator for the Florida Keys National Marine Sanctuary. Through an unprecedented collaborative effort, a dedicated response to stony coral tissue loss disease is underway within the Florida Reef Tract. 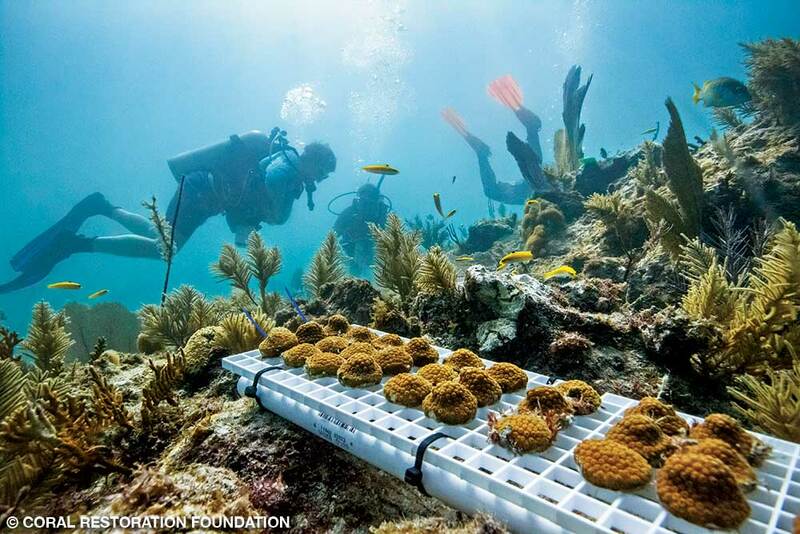 By advancing understanding of the disease and developing options to manage it, the project offers glimmers of hope for a threatened coral reef ecosystem.